In this episode the DisGeek crew has some tips on how to survive the Rock Your Disney Side 24 Hour Party. We also take a visit to the Main Street Newsstand where we discuss Club 33’s new logo as well as the latest news coming out of the Disneyland Resort. The Earvengers – A brand new weekly podcast about all things Disney. 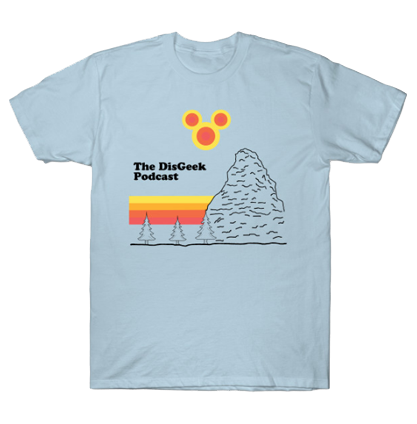 Featuring The DisGeek Podcast, WDW Happy Place, The Mighty Men of Mouse, and the Disney Dream Girls. Ghirardelli in Disney California Adventure has downsized their free samples to the new minis. OVC Snacks prices going up. Items include popcorn, churros, turkey legs, bottled soda, water, and beer. Nikon signs are starting to appear throughout the park in the “photo spot” areas. New theming has arrived for Pacific Wharf. The building that has the Boudin Bakery has a new color scheme, some new signage, like Pacific Seafood, Bait and Tackle, Salt and Sea packing company, and Charlies Sardines. Chris’s Google Search on Art Nouveau. Bring external phone battery recharger. New Trent is a brand we recommend. If you don’t have external battery chargers then here is a list of outlets in the park. Just don’t forget your plug. Bring warm clothing for the evening. And most of all.. HAVE FUN!